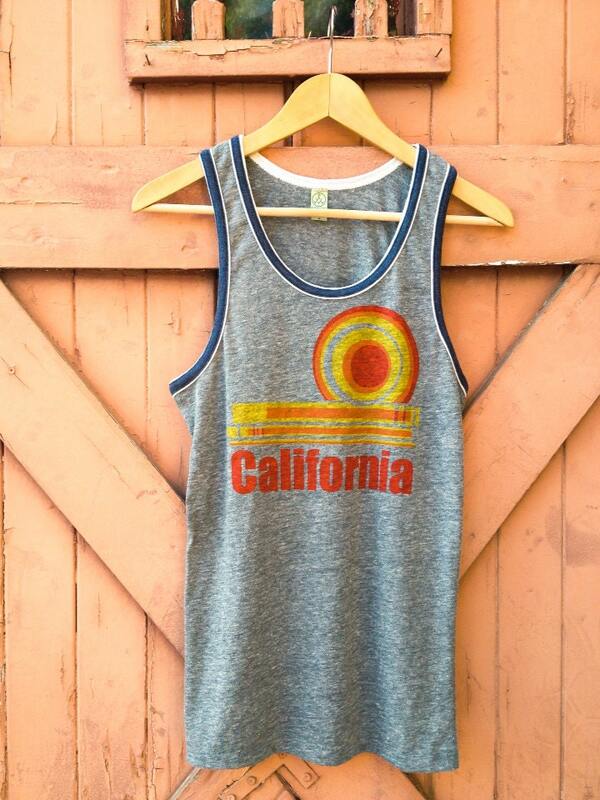 This eco heather ringer tank is hand printed with our original California design. Inspired by golden West Coast sunsets and a love for vintage tees, it's the perfect tank to throw on over your suit for a day at the beach, or dress it up with a pair of Levi's and flip flops. Our super soft, eco heather ringer tanks (manufactured by Alternative Apparel) are made from a blend of organic cotton and recycled fibers. Ringed at the neck and arms for a perfectly vintage look and classic fit, each tank is printed by hand using water based, eco friendly inks. Men's or unisex tanks have a slim fit and bottom hem. 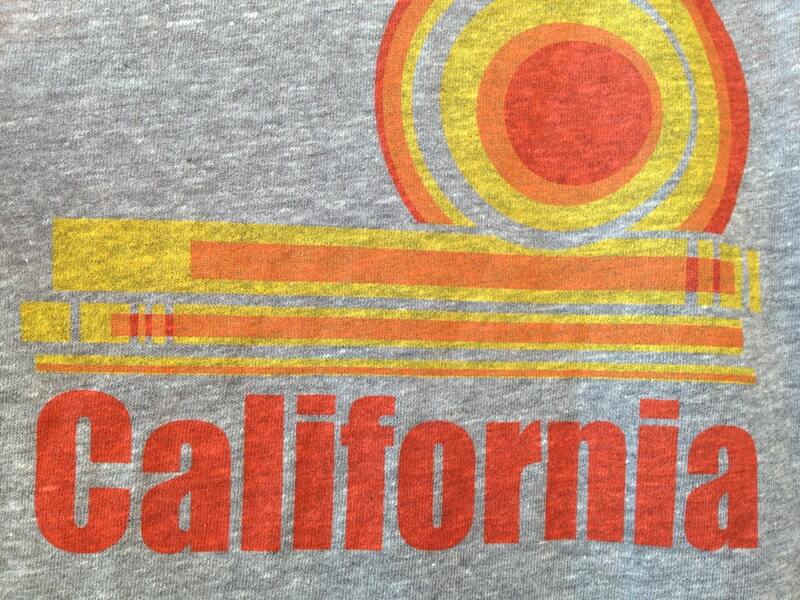 We do also have a women's California ringer tank in these colors! Please see our other listings or message us for details.